While a theological school exists in service to the church, it is planted in the field of higher education and requires educational leadership. This is the role of the dean. In this colloquy, deans of theological schools will explore their role as educational leaders in the fast-changing contours of theological education. In the prior era, a dean was often seen as the mechanic who tended the curricular or institutional machinery. The realities of theological education in the 21st century require re-visioning the role of the dean. This colloquy seeks to strengthen participants’ vision of their work as educational leaders and to contribute to the larger conversation about the changing realities of deanship in theological schools. The spirit of the colloquy design will be a cohort learning experience in which the richness of insights, outcomes, and wisdom can arise from the shared experience of the participants. They will explore together the intersection of professional identity, institutional context, and their role as educational leaders in the work as theological school deans. Conversation about the everyday challenges of deanship will include opportunities for small group and individual conversations about particularly urgent issues for theological school deans. Participants will leave the first session with frameworks and tools for understanding leadership in their own context that can be used to shape their work in the ensuing months. Before the second session participants will be asked to reflect on their experience of the practice of deanship as it is informed by the colloquy’s work. These reflections will be shared as the starting point for the second session of the colloquy. Participants will reinterpret their settings in order to address the challenges facing them in theological education today. Participants will be supported in claiming their identity, authority, and agency as leaders in the changing educational enterprises in their schools. Participants will receive a stipend of $2,500 for full participation, plus local expenses and travel. We are limited in paying stipends to participants who are employed in the U.S. under H-1B visa. In addition, the Wabash Center will reimburse expenses up to $500 for your attendance at the Association of Theological School’s CAOS meeting to be held prior to the ATS Biennial in June 2014. Front Row (left to right): Harold Washington (Saint Paul School of Theology), Michael DeLashmutt (Trinity Lutheran College), Paul Chilcote (Ashland Theological Seminary), Justus Baird (Auburn Theological Seminary), *Thomas Pearson (Wabash Center). 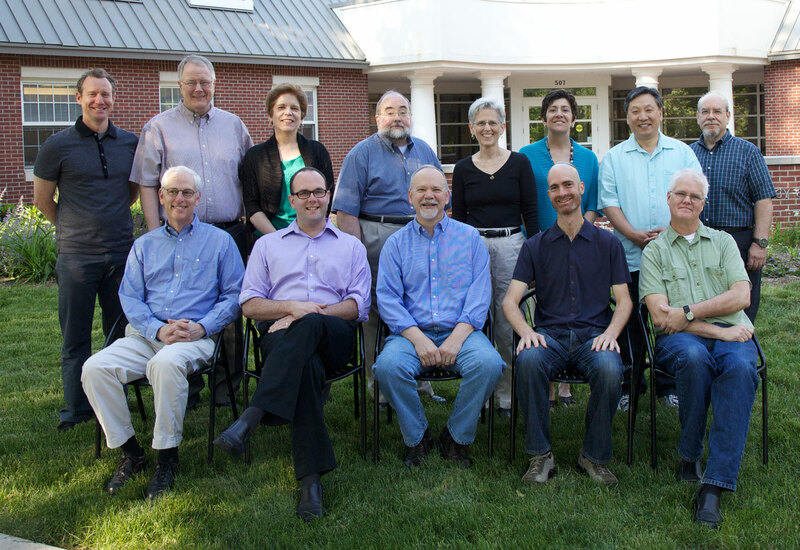 Second Row: Morris Davis (Drew Theological School), Ronald Feenstra (Calvin Theological Seminary), Sue Garrett (Louisville Presbyterian Theological Seminary), Steven Peay (Nashotah House Theological Seminary), *Rebecca Slough (Anabaptist Mennonite Biblical Seminary), Sarah Drummond (Andover Newton Theological School), Sang-Ehil Han (Pentecostal Theological Seminary), *Israel Galindo (Columbia Theological Seminary).